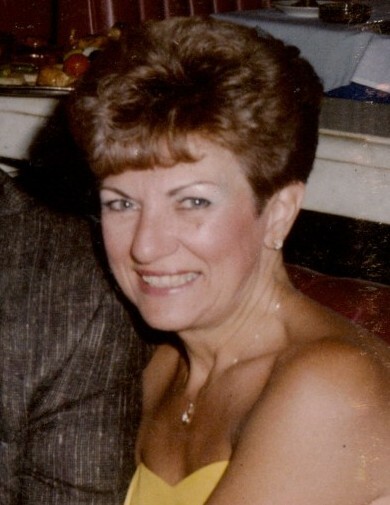 Madelene (Pantalone) Rao Age 82 of Watertown passed away ob Wednesday August 22, 2018. Beloved wife of the late Roger Rao. Loving mother of Denise Petito & her husband Michael, Nancy Gonzalez & her husband Norman and Anthony Camoreyt & his wife Christine. Cherished grandmother to Eric, David, Andre, Luke, Kayla & Anthony Jr. Dear sister of Anthony Pantalone & his wife Rose Marie and the late Alphonso Pantalone & Mary Barker. Also survived by several nieces and nephews. Madelene was a former Real Estate Broker, owner of Futureshape Salon Plainville, Ma and One Piece Dry Cleaning in Florida. Member of the Sons of Italy Lodge #1094. Family and friends will celebrate Madelene’s life by gathering for visiting hours in The Nardone Funeral Home, 373 Main St., WATERTOWN, on Friday from 4-7 PM and again on Saturday at 10 AM for a Funeral Home Service. Burial in St. Patrick’s Cemetery. In lieu of flowers please make donations to the Italian Home for Children, 1125 Centre St, Jamaica Plain, MA 02130.